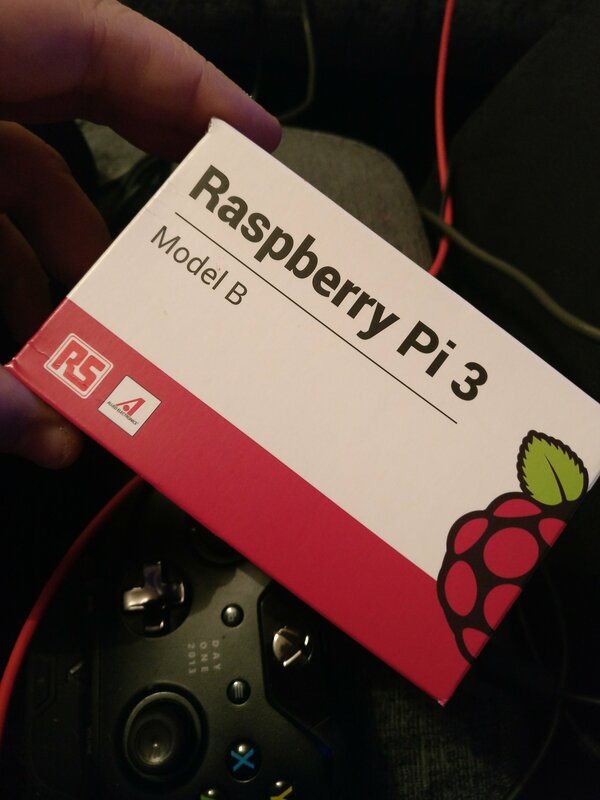 So I have branched out into the world of the Raspberry Pi. After a while hearing about these things, and never really thinking too much about them, this past weekend I saw one in action…game…changer! I had to get aboard…so I took the plunge. 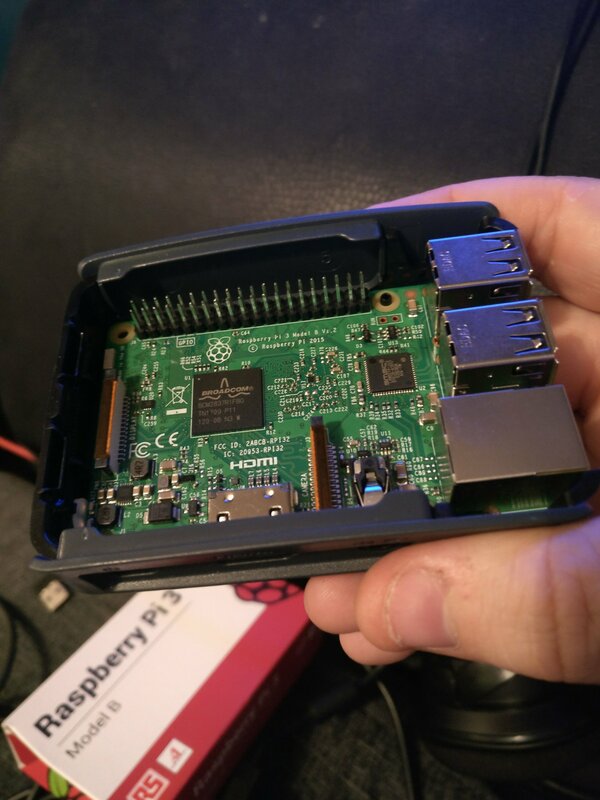 Just £45 from Amazon for a Raspberry Pi starter kit complete with the Pi itself, an enclosure, and powerpack. 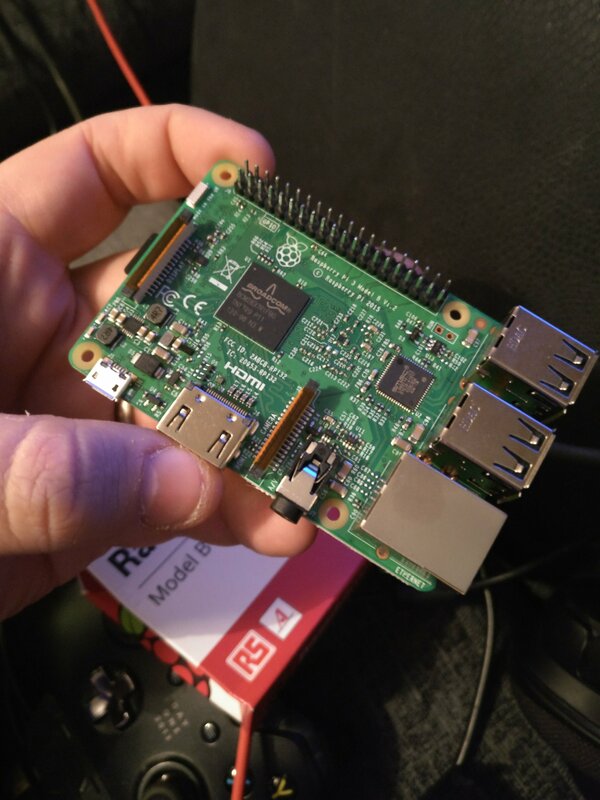 The Pi itself is pretty small but powerful. 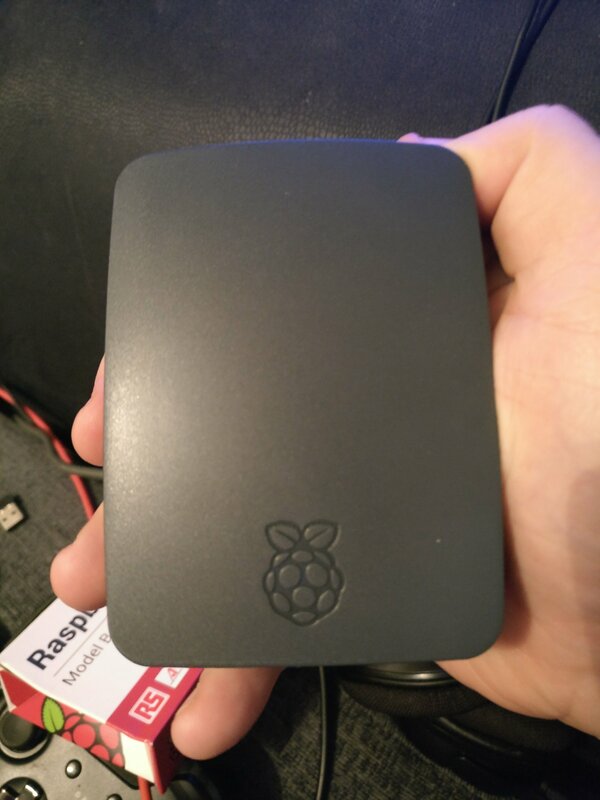 It’s packed with WiFi, Bluetooth, 4x USBs, HDMI and packaged with an operating system! After putting the hardware together, everything was fairly easy to setup and run. 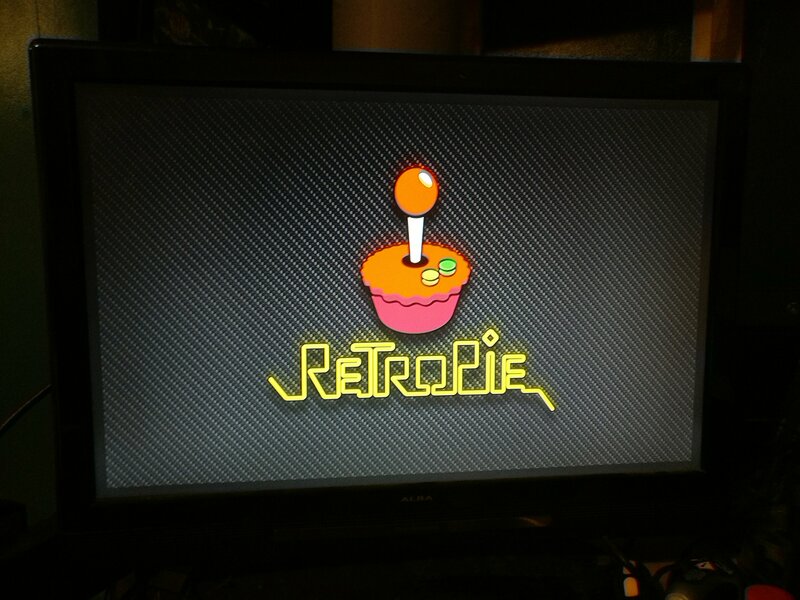 I installed RetroPie so I could “acquire” some games and everything was working brilliantly. 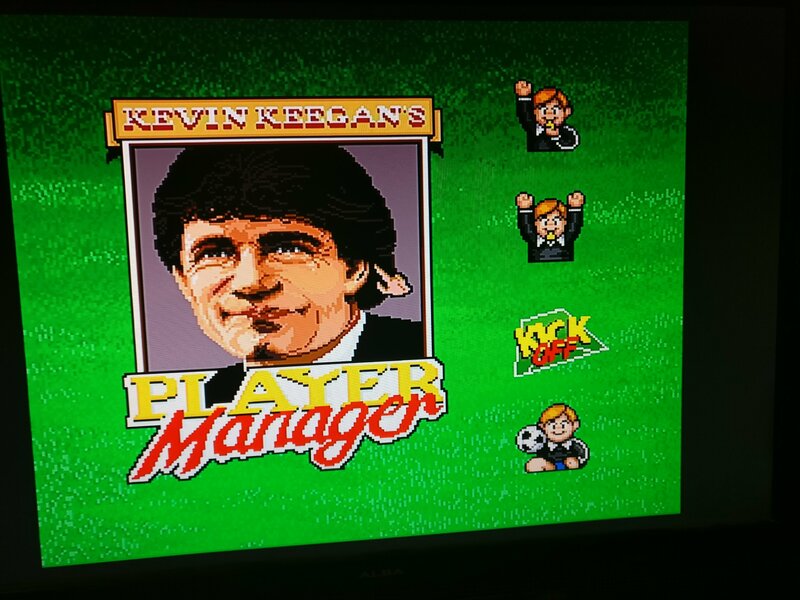 I enjoyed a nice little nostalgia trip back to the arcades I used to go into as a kid…although this time I didn’t need to shovel 10p after 10p into the slot…I was playing from the comfort of my own home, all controlled by my Xbox One controller connected by USB. But then, following chats with Mark at work…a new plan formed. Mark has spent a lot of time in the past competing in Street Fighter tournaments (not actual street fighting…more the Japanese fighting game we have all had a play on throughout the years). 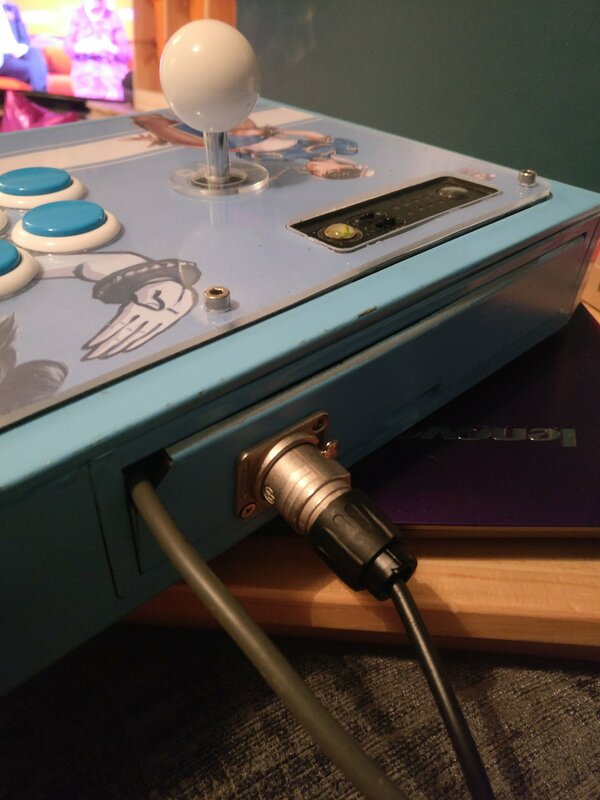 Because of this, he had an old Fight Stick he no longer needed and was willing to donate it to the cause…the plan was formed. 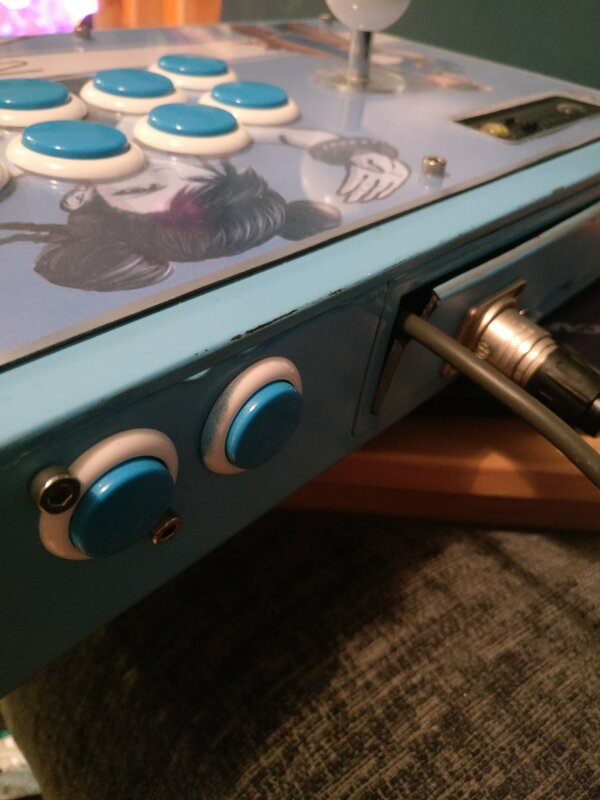 Could I possibly mod a fight stick into a console ready to be used to plug and play anywhere? 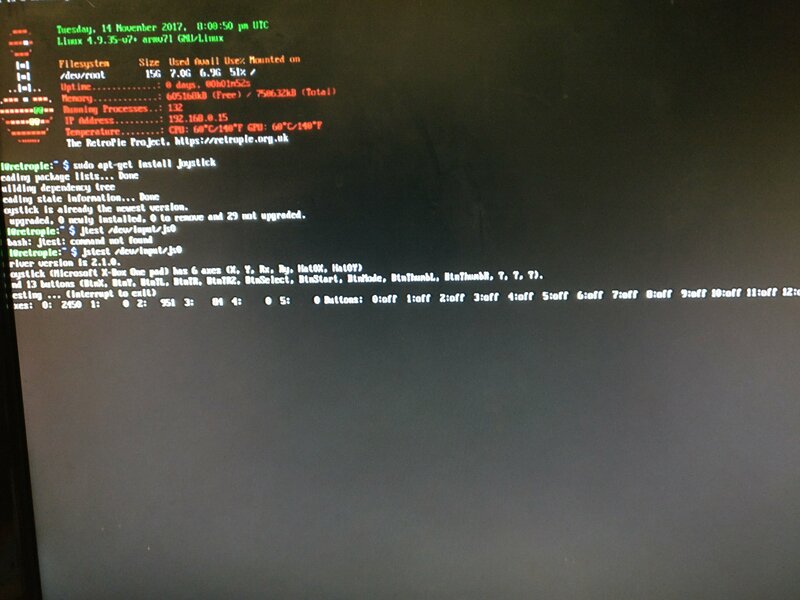 Could I, a guy who has never even attempted to build anything computer-y ever, manage to pull off a technical feat like this? 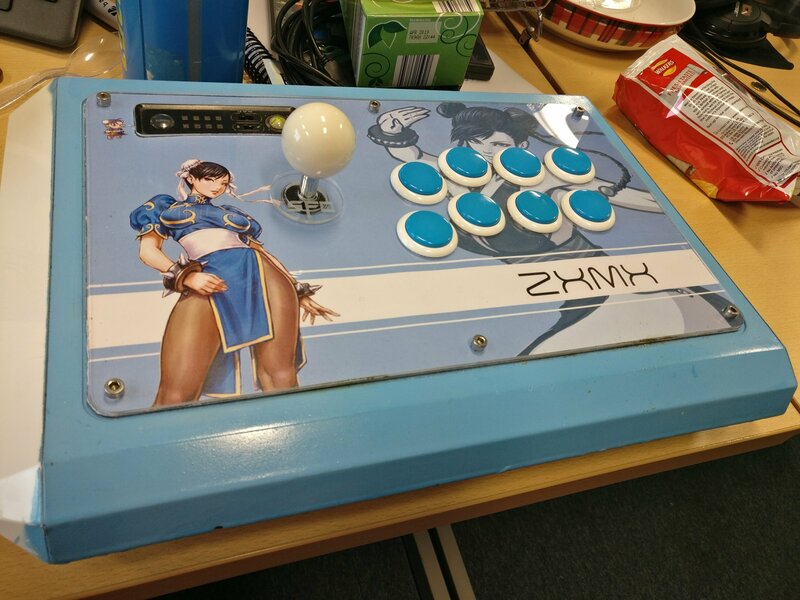 So there it was, all modded up previously by someone else, sprayed and designed with Mark’s internet handle all over it, Chun-Li posing provocatively. But now this bad boy was mine. So I got it home and took the whole thing apart. 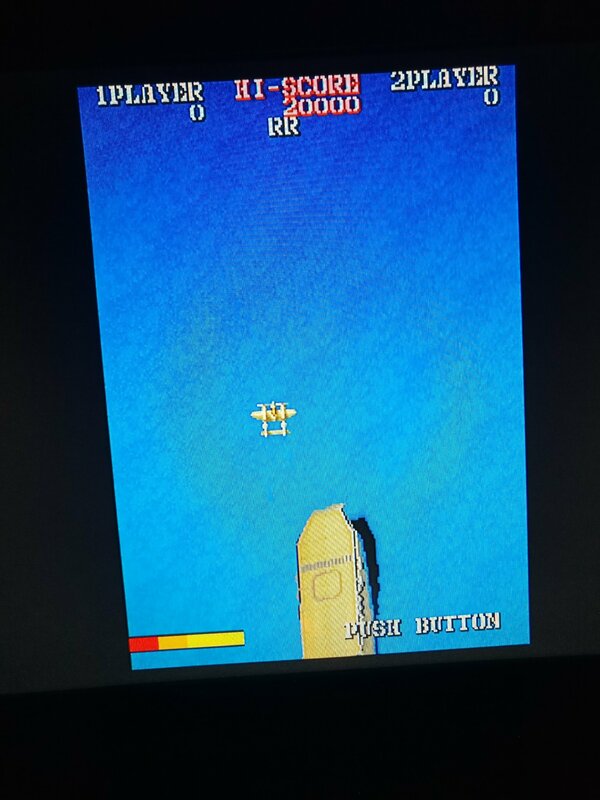 We had tested the controller in the office by plugging it into my phone and successfully making it work on a game on there so I was pretty confident it would work. 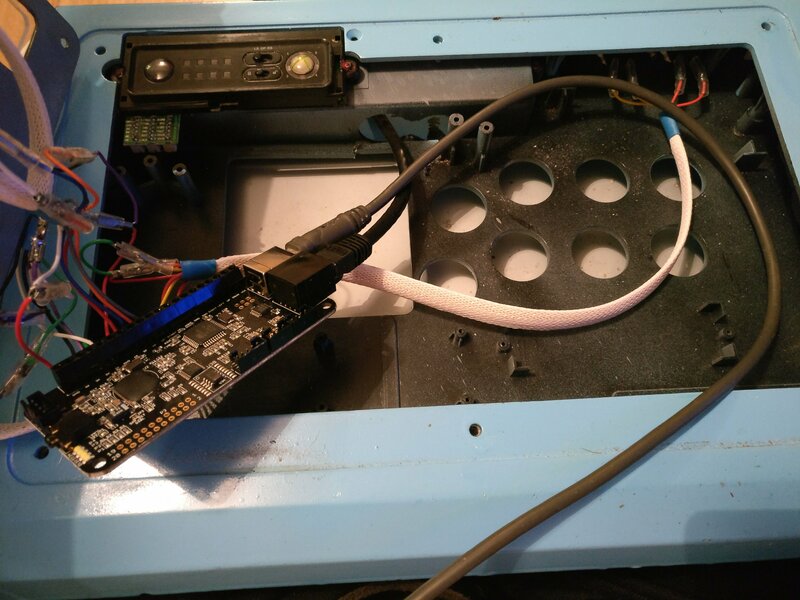 Everything was wired up OK, the small LED lights on the board inside the controller were happily flashing away when connected to my phone…but connected to the Pi….nothing! 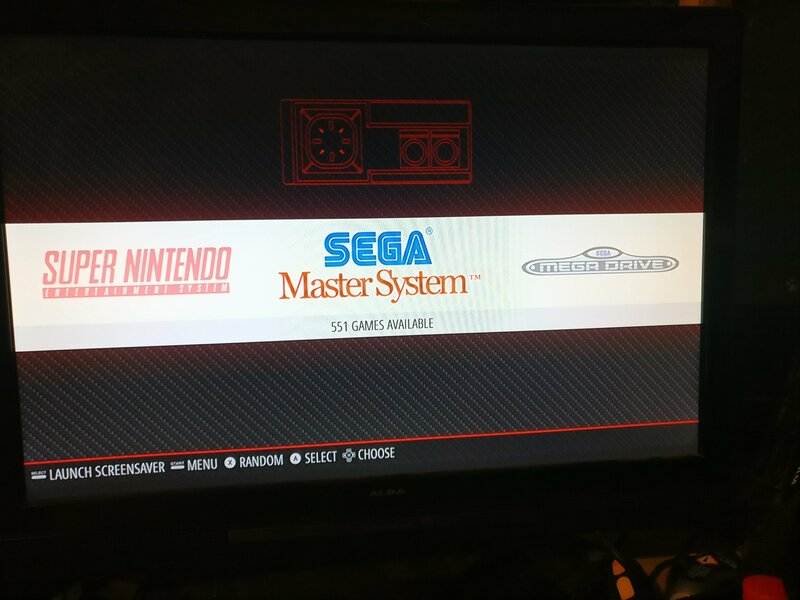 So I went into all the settings, tried installing drivers, tried detecting the Controller…nothing. I was on a panicked Discord chat with Sam from the office (someone who owns a couple of Pi’s himself) but we couldn’t find the reason why! And voila! We had lift off! I tested it with a few games and it plays beautifully. 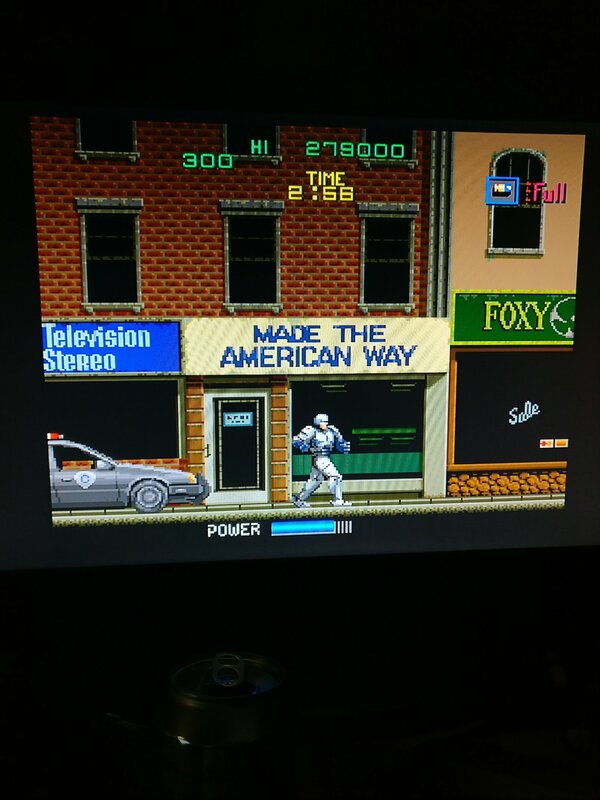 Already in the middle of a nostalgia trip, I was back there even more with a controller straight out of an arcade cabinet! Testing complete! The controller works! 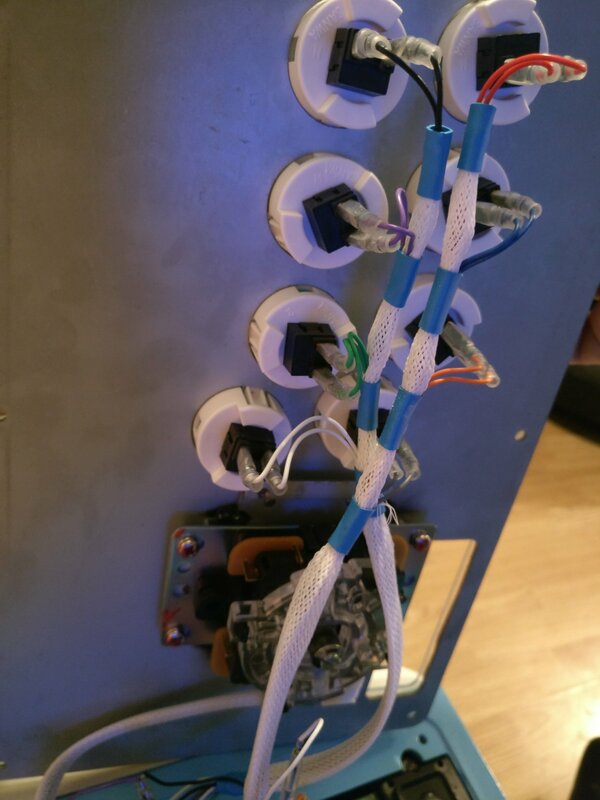 Next up…putting the Pi into the Fight Stick and seeing whether I can get it all packed away nicely! 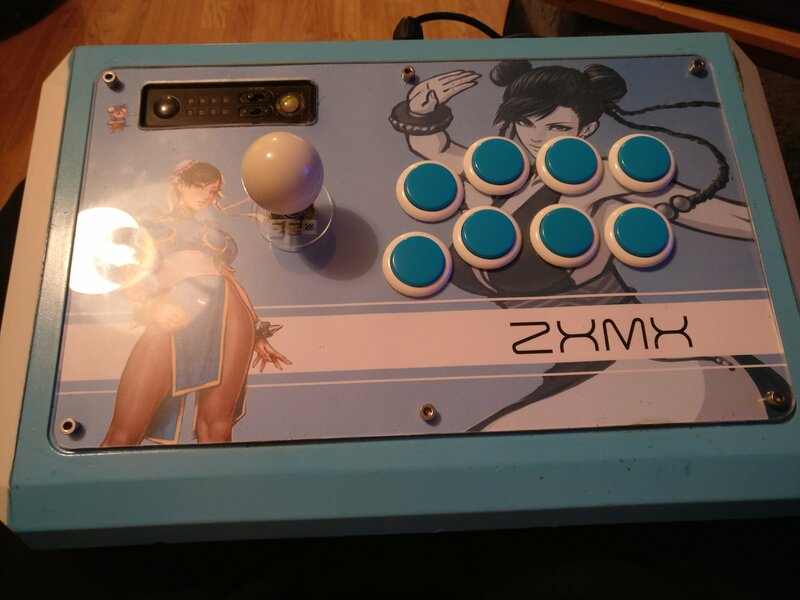 This entry was posted in 2017, Gaming and tagged arcades, fight stick, Madcatz, master system, mega drive, modding, mods, NES, pi, Pi Mod, raspberry pi, Raspberry Pi 3, raspberry pi mod, retro gaming, Retropie, SNES, super Nintendo, using a fight stick with raspberry pi. Bookmark the permalink.